Life with an amazing assistance dog, a crazy rescue dog, chronic health problems, Alopecia, and a wheelchair. Reviewing accessible days out, pet products, health products, food, beauty, fashion, kid's toys and fashion and much more. I received this product free of charge for the purpose of an unbiased review. At Amy’s Kitchen we do not believe that “free from gluten” means “free from flavour”, so our chefs created a gluten free version just as tasty as the original. First they make a roux by browning gluten free rice flour in pure creamery butter, then add fresh organic milk, stirring carefully until the sauce is just the right consistency. After that they add freshly grated mature Cheddar. Then this lovely sauce is gently combined with gluten free rice macaroni to create a dish that everyone can savour and enjoy, whether they are gluten intolerant or not. We initially had trouble finding a local supermarket that stocked this range (we live in a rural area and most of the supermarkets are quite small), but we eventually tracked one down using the store locator on Amy's Kitchen's website. First impressions of the Mac & Cheese were great - the sauce looked creamy and it smelt lovely, very cheesy. We would never have guessed that this was a gluten free meal, both the pasta and the sauce tasted authentic. Often gluten free pasta can have an odd, slightly off-putting feel to it, but the texture of this rice macaroni was perfect. Portion wise this was quite generous, especially for the very reasonable price. It would make a lovely, filling lunch, or if you add a salad or maybe some gluten free garlic bread to it, this makes a very satisfying main meal. The price of this product varies from store to store, but they all seem to be good value. It's nice to find a company that doesn't charge extortionate prices for free from products. 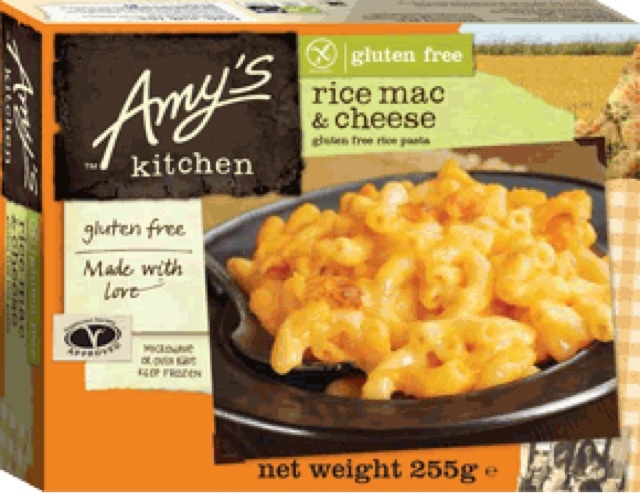 Amy's Kitchen do a wide range of gluten free products, including soups and other ready meals. Some are also dairy free and suitable for vegans (the Rice Mac & Cheese is also available in a gluten and dairy free version). This is the best shop bought Mac & Cheese that we've ever had - and I don't just mean gluten free varieties! It beats all other Mac & Cheese ready meals that I've tried, including some from premium supermarket ranges. 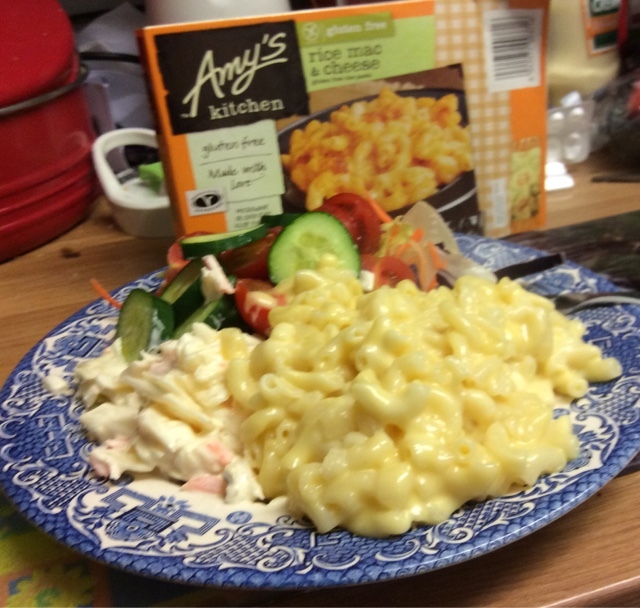 Amy's Kitchen Rice Mac & Cheese definitely deserves five stars! Blogging about pets, health, food and recipes, beauty and lots more!